EVOO | hair, there and everywhere! An Inch for Your Thoughts #13: You Put All That In Your Hair? Ever since I began my HHJ over 16 months ago, I have been a fan of pre-pooing with anything that I can find in my cupboard, fridge or pantry. In the past, I have used the following edible items in my hair: EVOO, EVCO, sesame oil, grapeseed oil, vegetable glycerin, apple cider vinegar, honey, avocado, garlic and tea (I am sure I am leaving out a few items)! As some of you may know, the past few months I have done pre-poos with honey and a conditioner. I am loving the honey as a pre-poo, as I feel my hair has retained moisture better. In Hawaii, Nathan’s dad had a jar of unopened manuka honey. Normally, I use just regular, store-bought honey, but I knew this had to be special by it saying it was from New Zealand! I immediately asked him for it and he said yes. I told him I was going to put it on my hair and he looked a bit puzzled and said “OK!” in his normal cheerful manner. The following day, we went to visit Nathan’s aunt and uncle who were leaving for home the next day. They buy food to cook and prepare for their two week vacation and at the end, they will give us what they don’t use. They had some ACV and some EVOO left over. I offered to take it and told them I use these products in my hair! Nathan’s dad then asked “what don’t you put in your hair!” It was quite hilarious! 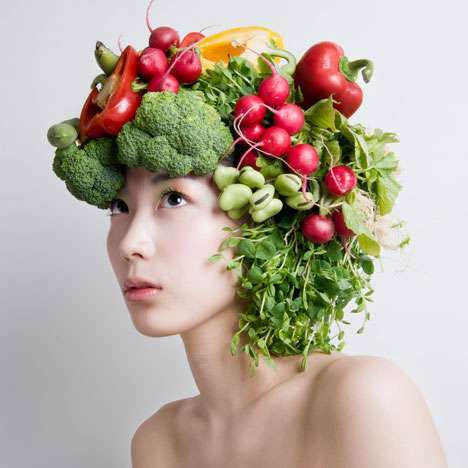 I am all for putting natural ingredients in your hair! I have been wanting to experiment a bit with yogurt, eggs, milk, etc., but have not had the opportunity yet. EVOO, oh how I love thee!! As I professed last week, my ends seem to have done a complete 360. They are not as prone to snapping as they were. I was trying to figure out why this was (as I wanted to make sure that I kept up the good work), so I began thinking back and thinking about what has been different in my routine. Last Monday I put some EVOO in a little dish to apply to my crusty, dry skin-laden face (gotta love that Retin-A Micro and the dry skin beards that come along with it). I was moisturizing and just reached for the EVOO. Prior to that, I had not sealed with EVOO exclusively. I was afraid that it would be to heavy for my hair on an everyday basis. Well, I liked the results so I kept it up. A few days later, I noticed less and less ends in my hands after M&Sing. I figured it must have been the EVOO. Dry, frizzy or overprocessed hair may be porous, lackluster and lose moisture rapidly. Applying EVOO to damp hair as a leave-in moisturizer can dramatically improve your hair’s condition. Moisture is locked into the hair shaft to help your hair retain its moisture balance throughout the day, leaving it soft and silky. 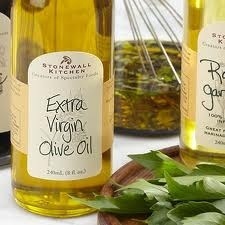 I hear that EVOO is able to penetrate the hair shaft and really hold that moisture in, which is an added bonus! I have been using EVOOs since beginning my journey in my prepoos, but now I will add it to my steam treatments and deep conditioners. I may have to go to Costco and get a huge thing of it, because it is definitely my go-to oil now! !